← Want to Be the Candidate Who Gets a Job When You Graduate? Study a Language. What Does Developing Intercultural Competence Have To Do with Grief? Last week I was reminded of an important meta-perspective on culture. …for more than twenty years, I have been teaching university language students about the importance of intercultural competence. In these ways, culture has always been fundamental to my work. But it had been a long time since I gave much thought to the theories behind the development of intercultural competence. Last week I was writing a book review essay for the Michigan Journal of Community Service Learning. The book I reviewed was the first single-authored volume on community service learning in foreign language programs: “Intersection of Service and Learning: Research and Practice in the Second Language Classroom” by Gregory Thompson. integration (becoming a cultural insider so that the new culture is the frame of reference used). Here is one small example from my own experience. In my adult life, I have moved around a lot and, in each place, I try to appreciate what I have there. When I lived in southern California, I jogged on Sunset Cliffs or the beaches of Coronado everyday. I knew I wouldn’t spend the rest of my life there so I wanted to appreciate all the natural beauty while I could. 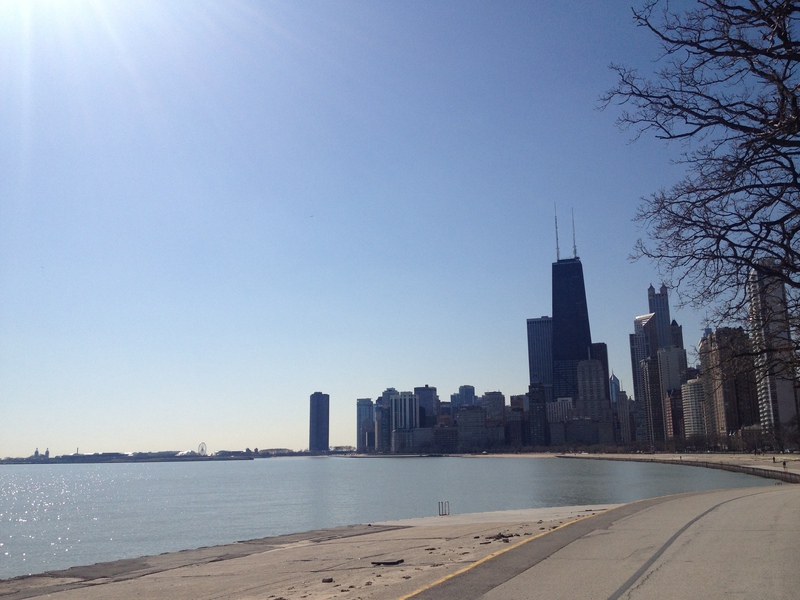 When I moved to Chicago, I nearly teared up the first time I witnessed the skyline view from the lakeshore jogging trail–I marveled that I could get to it on foot. When I rode the L, I took in the views and told everyone who would listen that it felt like I was riding the Polar Express. I couldn’t believe all the people who looked down at their phones and eReaders when they could be enjoying those views! Now that I have reached the stage of integration (or at least adaptation), I find that I am nostalgic for all those things seeming new and magical. I find myself looking down at my phone while I ride the L. I jog on the lakeshore trail without noticing the view of Navy Pier. I bemoan becoming jaded as I mourn the loss of my fresh, new, innocent outsider perspective. And I gain intercultural competence.